With demand in constant flux, and skilled workers difficult to find, having a versatile tool that is jobsite-rugged is crucial. 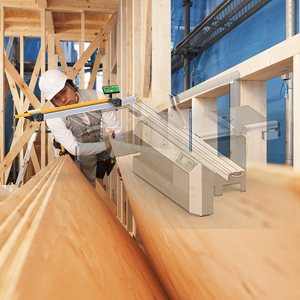 TigerStop offers products that allow factory automation in the field, or in the shop. Our SawGear line allows quick set-up, precise measurements, perfect results and is easy to use – all while being portable and durable. From framing to finish work, this one tool does it all. Light enough to go from the truck to the jobsite, heavy enough to get the job done. For the more industrial and heavy duty construction uses, TigerStop provides systems that can handle the toughest applications, all the while maintaining TigerStop’s precision standards.